There are probably two reasons why you’re here. One is: you know well by now that buying an engagement ring online is smarter than shopping at a brick and mortar store. Two: you think this is nonsense, and you’re here because you see online engagement rings as subs to the real deal! If you nodded on the first one, you may skip this part and jump right ahead to the steps below. But for those who are here for the latter, here’s a quick refresher! Why Design a Diamond Engagement Ring Online? Online diamond shopping is the new age of diamond shopping. Engagement rings are less expensive, not because they are of cheaper quality, but because digital vendors don’t need lux showrooms, salespeople, and other costs that up the pricing of their diamonds. You’ll have way more options online and better tools to really see the diamonds sparkle and composition. These awesome features are backed by renowned diamond grading labs such as GIA and AGS, so you’ll know you’re not getting scammed. If for some reason, you didn’t like the ring, you may return it for free within 30 days. No harm done! You can browse through affordable to the highest quality diamonds wherever you are in the world and securely purchase in a few taps. Well, this is pretty obvious. But believe it or not, some men aren’t aware of the difference especially if we put the promise ring into the mix. Again, if you have this part all figured out, great! Skip ahead to the next point on my checklist. The promise ring’s symbol is subjective, but it usually represents love and commitment. It could be a promise to be engaged someday or to move to a different country at a certain time. Younger couples are more into promise rings because it simplifies the symbol of relationships – no pressure, no labels, and no deadline. 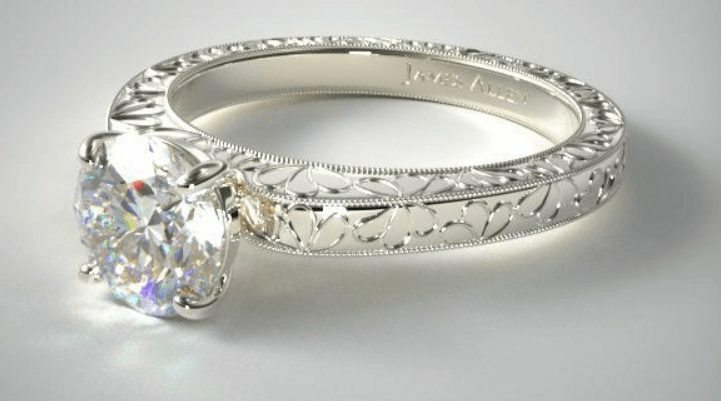 It’s usually less extravagant than engagement rings, and the design of the setting is more in focus. The engagement ring is the one you propose with on one knee while asking the iconic question “Will you marry me?” The proposal is supposed to be a surprise, and it’s usually the guy that picks the engagement ring. Unlike the engagement ring, both you and your future wife get to wear a wedding ring. You’ll choose these bands together and exchange them during the wedding ceremony. They’re usually plain without any diamonds or gemstones and are commonly white gold or yellow gold. 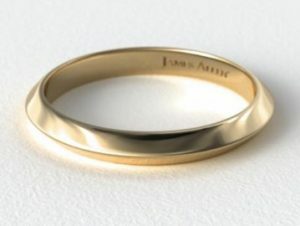 Wedding rings are meant to indicate that the wearer is married. The uninterrupted circle is a symbol of eternity with no beginning or end, and thus symbolizes immortal love. Married women wear both rings on the ring finger of the left hand with the wedding ring being closer to the heart. Most people spend more time, effort, and money on engagement rings. It’s a cultural norm! The classic tribute to that ineffable certainty to spend the rest of your life with someone through marriage. The symbol is quite heavy, but the search doesn’t have to be. With all the right reasons in place, we can now get down to business! The thing is, when we’re confronted with a wide array of options, we somehow get the impression that the pricier ring is better than the one within the budget. This is a human cognitive bias that automatically assumes that something must be more precious just because it is more expensive. Don’t fall prey to this! Especially with diamonds, you could be paying for premium features that you won’t be able to notice at all. The reality is, you will undoubtedly find a beautiful ring that’s within your budget. As for how much you should spend on the engagement ring: It is entirely up to you! 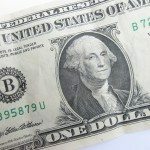 The engagement ring industry, primarily “De Beers,” did some good marketing in the past telling people that we should spend the equivalent of two months’ income on the engagement ring. Over the decades, this sneaky piece of marketing went into the subconsciousness of different generations. And apparently, this is very much in the interest of the diamond industry. But please, don’t feel pressured by this stigma. 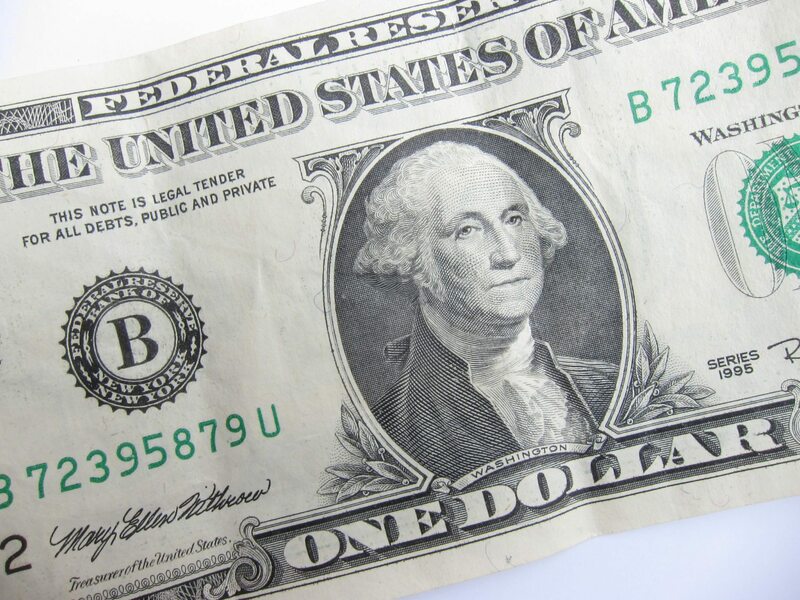 Know that the two months’ salary-rule is just one of the most ingenious marketing feats of the 20th century, and no one should ever tell you how much to spend on this very personal symbol. Now you’re on your way to designing the perfect engagement ring! Most women want to be surprised. But worry not because getting the gist of what she likes is not as tall of a task as it may seem. The bottom line is that she’ll most likely love a ring setting that’s similar to a ring she already owns or that looks like someone else’s ring that she liked. Maybe she had casually shown you a ring she adored when you were window shopping. Or perhaps you could recall a situation where she was raving about her friend’s ring. With this one, you will have to brainstorm her entire style in terms of rings. Apparently, it is always a safe bet to design a ring similar to what she already has! The more rings she possesses, the more you’ll be able to single out her true preferences. Bring all these rings in front of you, and try to find some common denominators. Ask yourself the following questions: Are the majority of these rings modern or classic? Are they ornate or simple? Are they chunky or delicate? Sophisticated or feminine? Gold or Silver? Diamond or Sapphire? One stone or several stones? Although, the best way to get her talking inconspicuously about her taste is to take her shopping and pass by a jewelry store “by coincidence” and have her look at all the different rings. Most women will feel compelled to tell you which ring they particularly like. When in doubt, remember the great rule of thumb: Stick to the classics! And that would most likely be a diamond in round or princess cut mounted on a solitaire ring setting of either yellow or white gold. In order to design a complete engagement ring, you would have to know her ring size. Just imagine how awkward it would be if you tried to slide the ring on her finger and it wouldn’t fit her. If she’s not a ring person, maybe you can ask her mom or one of her best friends; they usually happen to know stuff like this. And if even they don’t, you would just have to take a wild guess! But do remember that it’s easier to resize the engagement ring down to a smaller size than to make it bigger. The average woman is 5 ‘6″ (168 cm) and 140 lbs. (53.5 kg) and has a ring size of 6. If her weight and the slenderness of her fingers are below average, her ring size could be a 5.5 or a 5. And if it’s the contrary, her ring size could be 6.5, 7, or even 7.5. When in doubt, get a larger ring size! 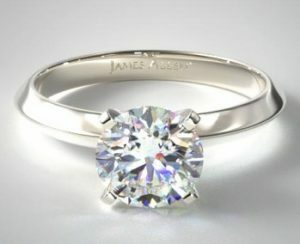 At James Allen, you’ll even get a 60-day free resizing guarantee! Let’s say you’re going for traditional. First, you would have to choose a diamond shape (which shouldn’t be confused with the diamond cut). 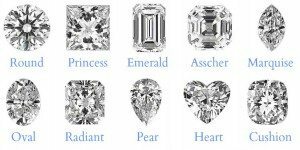 Diamond Cut and Diamond Shape are often used interchangeably, but the Diamond Shape refers to the outline of the stone, e.g., round cut, heart-shaped, pear-shaped etc. If you have no idea of her preferred shape, I would recommend such shapes because they’re traditional, neutral, and most women find them appealing. Furthermore, they reflect the most light and thus provide the maximum amount of brilliance, fire, and scintillation. The princess cut can be nearly as brilliant as the round cut. But these differences in sparkle are hardly noticeable to the bare eyes. Any well-cut diamond can exhibit optimal sparkle. That said, you may choose any shape you think she’ll like most! Now that you have decided which diamond shape you want, you’ll have to make sure that you buy a diamond of good quality. It should reflect the light in the best possible way and shouldn’t contain any visible flaws. To choose such diamond, have a look at the Diamond 4Cs! 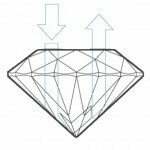 The 4Cs are a commonly acknowledged quality criteria for diamonds and refer to the diamond cut, carat weight, diamond clarity, and diamond color. Making a good purchasing decision will simply come down to your own knowledge. So, I highly encourage you to get yourself educated on the 4Cs. You should directly design the engagement ring at a place you know is trustworthy, safe, and doesn’t try to take advantage of you. And the very first question you should ask yourself is where. 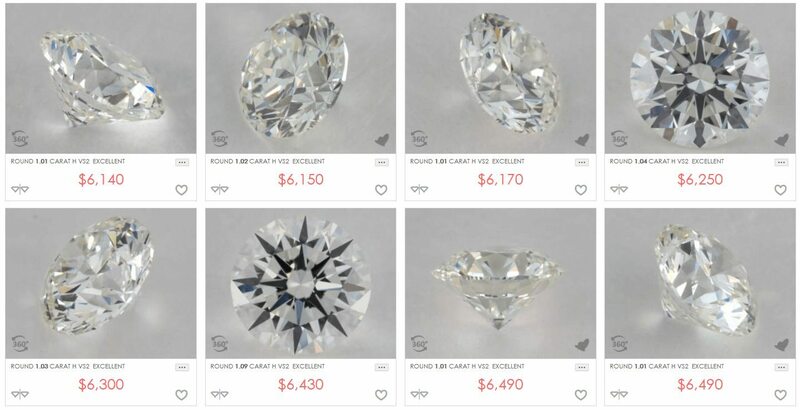 Buying a diamond at a brick and mortar store will usually cost you around 30% – 70% more than a nearly identical diamond with the same 4Cs parameters at an online store. Like I mentioned earlier, this is because most online stores have much lower operating costs. 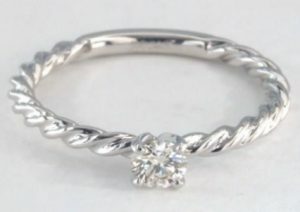 If you want to get the best bang for your buck, I would therefore only recommend buying your ring online. On that note, my top recommended store is James Allen because of their revolutionary 360° Diamond Display Technology. It is currently the only store that will let you view ALL of their diamonds in high definition videos up to 40x magnification! It is very important to never buy a diamond blindly! Just have a look at the two diamonds below. 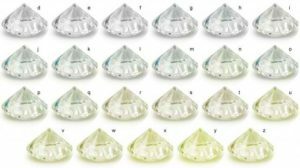 Both are SI1 diamonds, but the one on the left is not eye clean and the one on the right is eye clean. Without real magnified images you would never know! The ring setting isn’t just the fancy holder of the diamond. It also contributes to the overall beauty of the engagement ring. If the setting isn’t well-crafted or doesn’t go with the diamond, the oddity can take away from the diamond’s optimal sparkle. 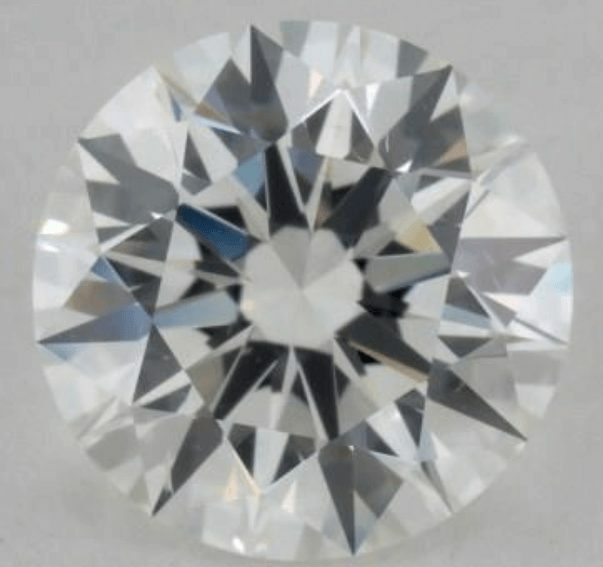 A thin band makes the center diamond appear bigger. If you want to enhance its optical size, it’s wise to choose a thin band with a thickness of 1.8mm to around 2.2mm. As you can see, the diamond on the left appears much bigger than the diamond on the right even though they have the same size. This is because the ring setting on the left is only 2 mm and the one on the right side is 2.75 mm thick. When it comes to prongs, the usual number is 4 or 6. Having six prongs is more secure, while a diamond with only four prongs appears bigger to the eye because there is less metal coverage. 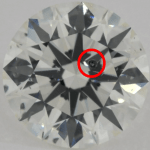 The diamond on the left with only four prongs appears slightly more significant han the diamond on the right secured with six prongs. The added security of two-extra prongs or the diamond appearing larger? Your choice! The characteristic of a three-stone ring setting is that the center diamond is guarded on both sides by two other gemstones which can either be diamonds or sapphires. This setting is usually chosen because of its high bling factor and for symbolic reasons. If you want to make the center diamond look bigger, you might want to avoid this ring setting because the center stone tends to appear a little bit smaller next to the other gems. Notice how the center diamond in the three-stone setting blends with the other stones. 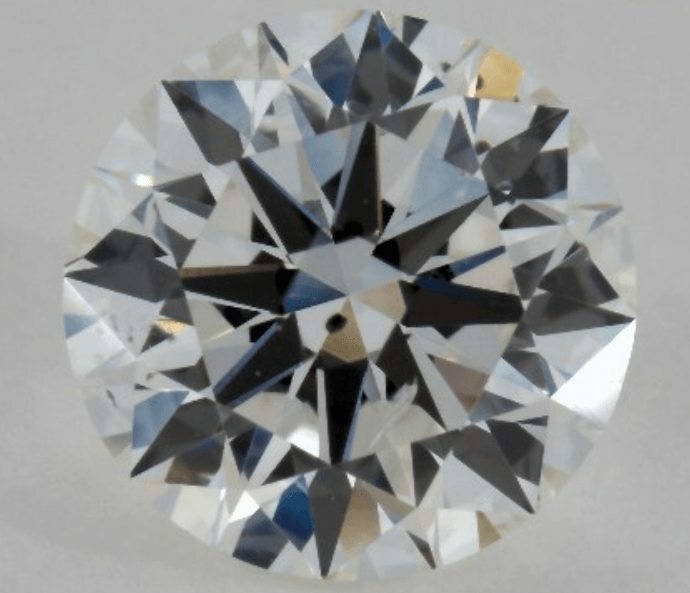 Although the supporting diamonds take the focus away from the center diamond, the overall combination has a very flashy effect. After having chosen the ring setting, you will have to decide what metal type you would like for the engagement ring. The four main metals that are commonly used for engagement rings are yellow gold, white gold, rose gold, and platinum. I will say the following, though: For one thing, you have to know that not all ring metals complement every skin type in the same way. Yellow gold, for instance, doesn’t go with rosy or pale skin tones. White gold and platinum, on the other hand, don’t complement olive and darker skin tones. Only rose gold complements any skin type! If you consider buying a white gold or platinum ring setting, it will be better to have it in white gold. It’s not only less expensive but also not as prone to getting dull and scratched over time as platinum. While rhodium platings in white gold rings need to be regularly replaced, a platinum ring will have to be cleaned more often (every few years), and every time this happens, some of the platinum will be stripped away. Check out this post to know more about the pros and cons of the four main ring metals! Let’s say you have the final ring design in front of you, and all you have to do is click the “add to cart” button. I know there could be a list of questions, still. And a pro feedback would definitely put your mind at ease. So, go ahead and ask a trained eye before purchasing the engagement ring. Top online diamond shops have diamond experts at bay that will help you choose the diamond with the best cut proportions within your budget. Some diamond shops also provide ASET and Idealscope images that will give you a more technical view of the fire, brilliance, and scintillation of your diamond. It’s always good to be prepared. 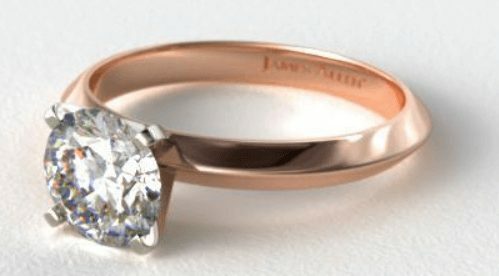 Designing an engagement ring online is fun, educational, and bonafide! Consider the checklist above, but most importantly, relax into the purchase. Although her answer can be uncalculated, you have all the tools on your end to somehow make you feel you’ve done your best! Should have any question, don’t hesitate to leave a comment down below or write to me here. Easily one of the best guides to engagement rings, so thorough! Really enjoyed the detail in the metals section, found it very useful. Sebastian, your comment around white gold vs platinum doesn’t tell the whole story. The rhodium plating on a white gold ring will wear off over time and the colour will change more yellowish. Whilst its true platinum will eventually become dull over an extended period of time this is no less true of white gold, and has the added benefit of only needing a polish as opposed to re-coating a white gold ring. This is a real indepth and thorough post on designing engagement rings. There are so many awesome tips here for when I decide to get engaged. With different shapes and so many different color shades to choose from, I best start choosing now and get ahead haha. I especially like step number 6 because it’s important to know exactly what your partner likes or you could get things wrong. yes I know that it might seem difficult to get started if you do not have any clue how to design an engagement ring. 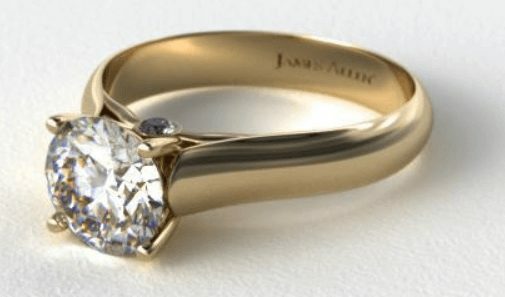 this post really helped me in designing an engagement ring. 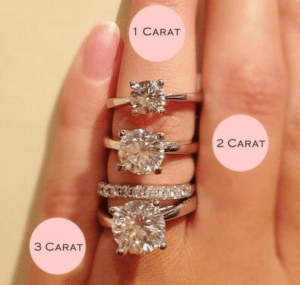 If you consider all of these steps, I am sure that you will know how to design an engagment ring that your girlfriend will love! I am just about to design my own engagement ring. Do you think that an F color will be sufficient? Yes I had to post this video because most people are in fact not aware of the big marketing influence on one’s engagement ring budget! This is an very precise and informative article and a joy to read. I am glad that I’ve found your website for the right reasons. I really hope that this article will help you or at least be an inspiration to you about how to plan for your perfect diamond engagement ring! 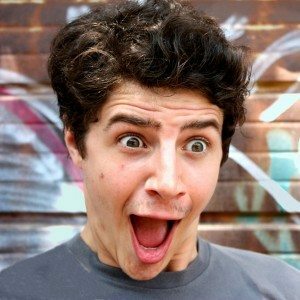 A truly comprehensive and informative discussion that should go a long way in removing the mysteries of diamond purchases. Thanks for posting this. I am glad you like it, Werner!